Do not ever place a criminal record and a record by 80's band The Police on the same turntable! 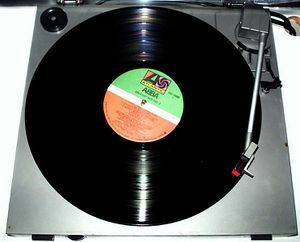 Criminal record is a vinyl LP (or, more recently, a compact disc) that people buy when they wish to stick it to the man. Playing the disc can result in being arrested and charged. It should only be played with caution. This page was last edited on 24 Jumbly 2013, at 21:25.